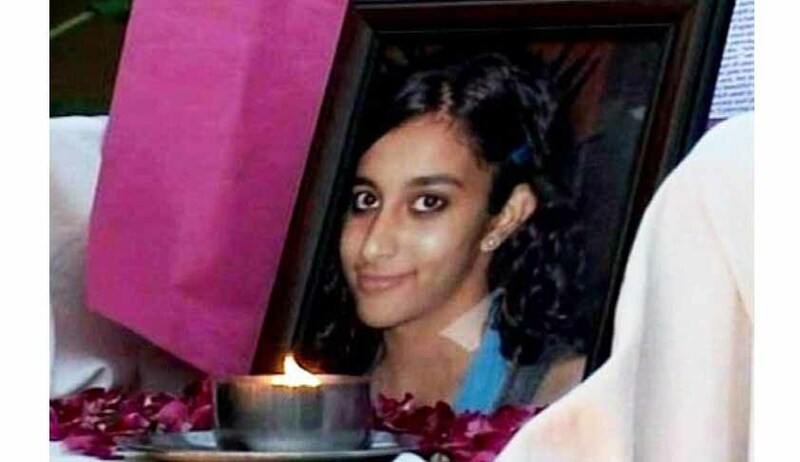 A special CBI court will today pronounce its verdict almost five-and-a-half years after the sensational killings of teenager Aarushi Talwar and domestic help Hemraj. After the 15-month-long trial of dentist couple Rajesh and Nupur Talwar, the decision will be rendered by Special Judge S Lal, who is retiring soon, on charges of murder and destruction of evidence in the killing of their 14-year-old daughter and servant, which occurred on the night of 15 -16 May 2008 at their Noida residence. Ever since the murder was first disclosed, the media has been constantly keeping an eye on the developments in the case. In August 2009 the Supreme Court restricted the media from sensational reporting of the matter. The Uttar Pradesh police alleged that the killer was none other than the teenager’s father, who acted in rage after finding Aarushi and Hemraj in an “objectionable but not compromising” position. The case was later handed over to CBI by the then UP Chief Minister Mayawati. A conclusion was drawn by a CBI team under Joint Director Arun Kumar that murders were committed by Krishna Thadarai- who worked as a help at Talwar’s clinic, his friend Rajkumar, a domestic servant with Praful and Anita Durrani who were friends of the Talwars, and Vijay Mandal, who worked as a driver for the Talwar’s neighbour. However, these findings were later disposed by then CBI Director Ashwani Kumar. The CBI went on to submit its closure report on December 29, 2010, as it was unable to conclusively establish the sequence of events. For lack of reliable evidence, the CBI had concluded: "No one can be accounted accused.” Later on, Khukla Banjhare, the widow of Hemraj alias M. Prasad Banjhare, a resident of Nepal, submitted an application before the CBI court alleging that her husband was killed by the Talwars. On February 28, 2011, a CBI special magistrate passed an order in which the closure report was rejected and summons was issued to both Rajesh and Nupur Talwar. The Talwars had moved the Allahabad High Court, which dismissed their pleas to quash the trial court summons and the proceedings initiated against them and therefore the couple approached the apex court, but again no relief was granted to them. On 11 June, 2012, the trial in the sensational murders commenced. For almost one and a half years the case went on during which 39 witnesses were presented by the prosecution led by CBI’s Deputy Legal Advisor RK Saini to support their case while seven witnesses were produced by the defense team. On 10 October, the final arguments were started by the prosecution summing up their case against Rajesh and Nupur. The final arguments went on for almost seven days. The defense arguments commenced on 24 October, which went on till 12 November. The CBI pressed the theory that during the night of murders there was no evidence of any forced entry, and of the four people in the house, Aarushi, Hemraj, Rajesh and Nupur, only two were alive, and hence the circumstantial evidence pointed towards the dentist couple’s involvement. The prosecution strongly put forward circumstantial evidence that there was no outsider entry, last scene theory, dressing of crime scene, destruction of evidence, tampering with Aarushi’s body and cover up of Hemraj’s body with a cooler panel on the terrace, which, according to him, all pointed to the Talwars guilt. He even rejected the defense’s point of sudden and grave provocation theory and said by creating the sudden and grave provocation theory at the final stage of this case, the Talwars tried to mislead the court. During final arguments, prosecution told the court that the doctors who conducted the post mortems on both victims had made statements to the effect that the injuries visible on Aarushi’s forehead and Hemraj’s head could have been made with a golf club which was refuted by defense lawyer Tanveer Ahmed Mir saying if the CBI case was to be believed, then Hemraj’s injuries would have resulted in a pool of blood which was not visible at the crime scene. A major blow to the CBI was when the Talwar’s former domestic maid said her testimony had been coached. It was also alleged by the defense that CBI mishandled evidence of 12 golf clubs and a golf club bag. The prosecution also said that on the morning of May 16, 2008, the Noida police found a bottle of Ballantine’s scotch which had Aarushi and Hemraj’s DNA, which was a major indication of the involvement of the dentist couple in the murder saying that if the killers were outsiders, they would not have the guts to consume whisky from the bottle after murdering Aarushi and Hemraj. The contention of Saini was that Rajesh Talwar had consumed whisky from his Ballantine’s scotch bottle during murders with small gaps. However, this piece of evidence was denied by the defense saying that forensic expert AD Shah found five finger prints from the bottle, none of which belonged to the dentist couple. While prosecution lawyer, in his concluding arguments, had said that the CBI had proved charges of murder with common intention and destruction of evidence, Talwars’ lawyer had said that their arguments prove that Talwars have not committed crime. In the final arguments, the accused refuted the CBI theory that they killed their daughter and the servant in sudden provocation. They contended that CBI's claim during various stages of the probe that five different weapons, hammer, knife, khukri, golf stick and surgical scalpel, were used showed that CBI was not sure of what had occurred on the fateful day. On November 12, 2013, the CBI judge had adjourned the court till November 25, the date set for the judgment.